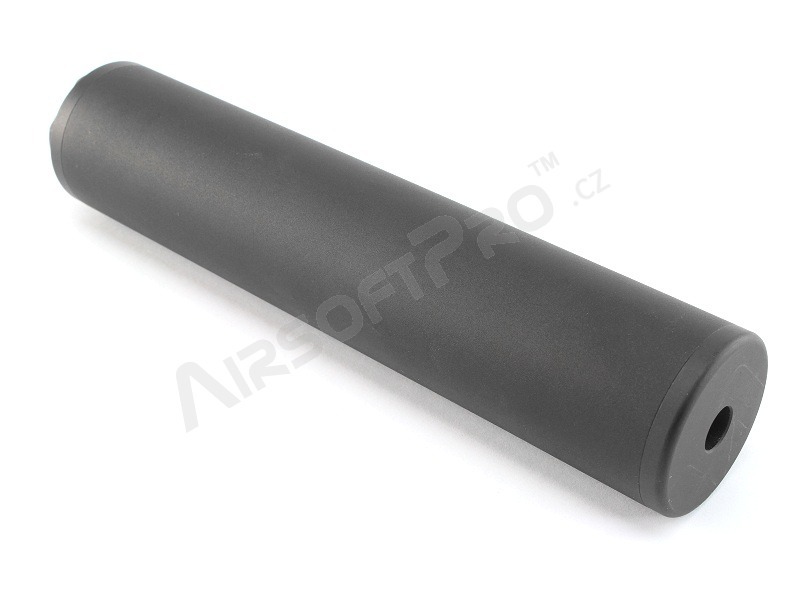 A metal (aluminium) suppressor made by FMA. 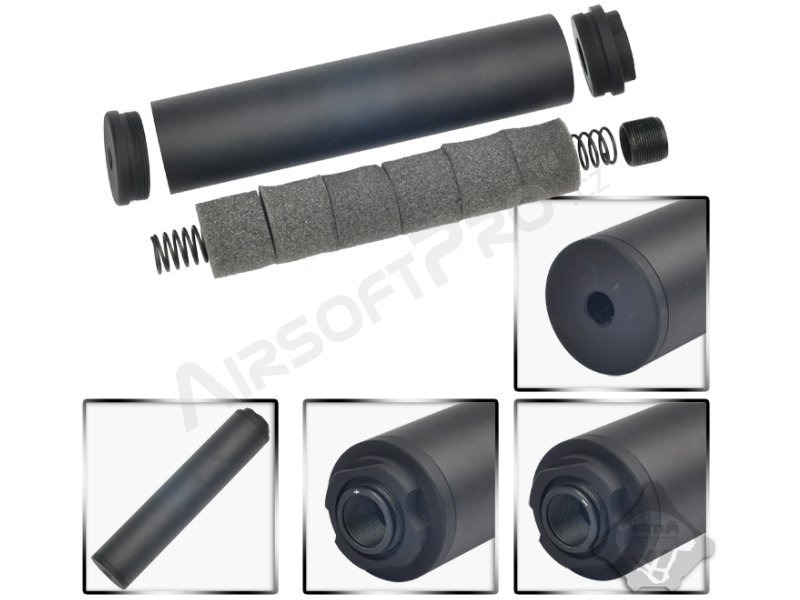 It has a thread for an adapter - there are two adapters in the package, one is with a 14mm counter-clockwise thread on the other has a 14mm clockwise thread, so you can put this silencer on most airsoft weapons. 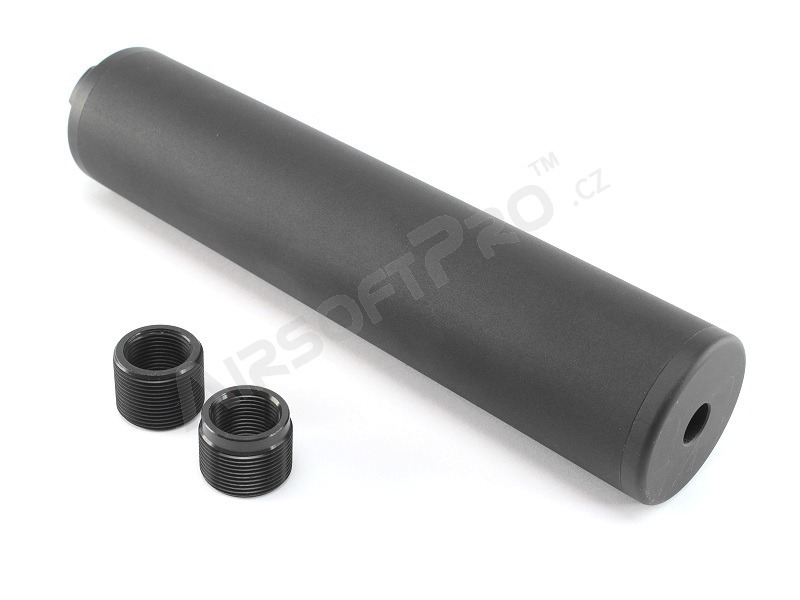 There's also a foam insert inside the suppressor, so it slightly reduces noise. 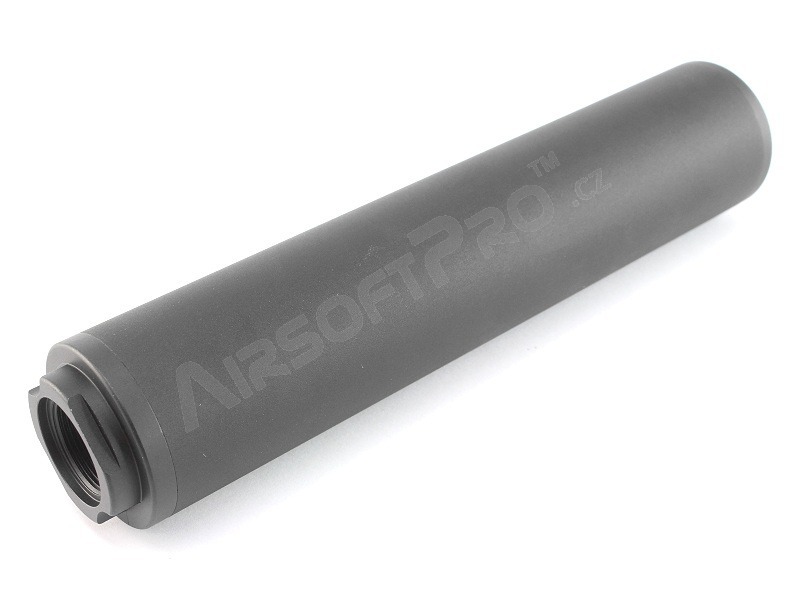 Notification: Airsoft silencers are for aesthetic purposes only. Not suitable for the real guns.